I am always on the lookout for the next Waterfall Braid-type hairstyle! Another fan, Katrina on Facebook, posted her version along with a link to a low resolution Russian YouTube video showing the exact technique. The video was at times hard to follow, and it does not show a finished hairstyle, but it provided me with just enough info to be able to master the braid! With that, I am now ready to teach you all! 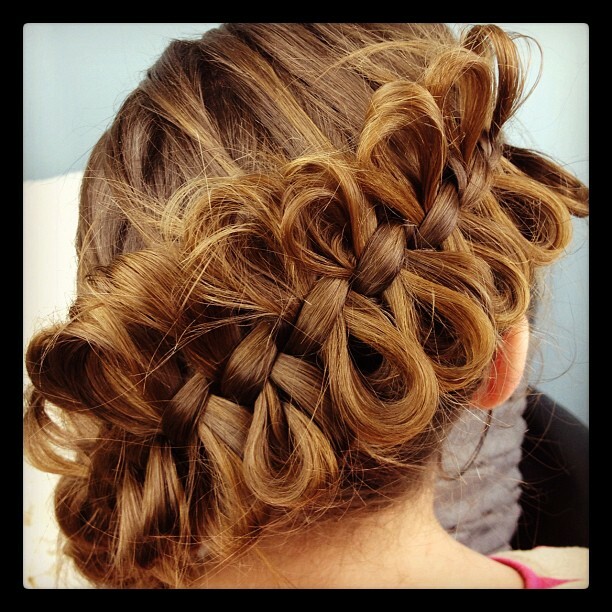 You can use The Bow Braid in pretty much any hairstyle as long as there is a three-stranded French or Lace Braid involved. It will work on short hair, medium hair, long hair, layered hair, hair with bangs, combos, etc. In the tutorial, I show you how to do Bow Braid Ponytails, but I also show you on myself and the other daughters some finished looks for a braided headband, diagonal braid, and lace braid. 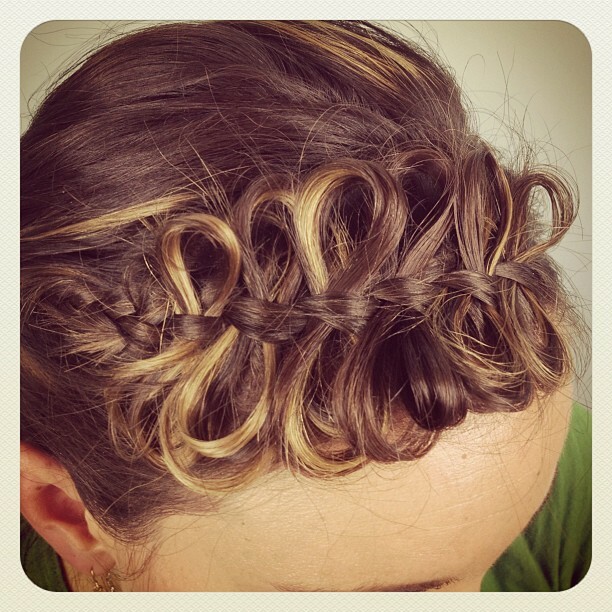 Begin by braiding a section of your hair. 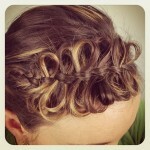 You can use a lace braid or a 3 strand French braid. Remember you will need another ½ inch section of hair parted next to your braid to create the bows. Thread the hairpin, loop end first, through a section of your braid to prepare it to pull through hair for the bow. 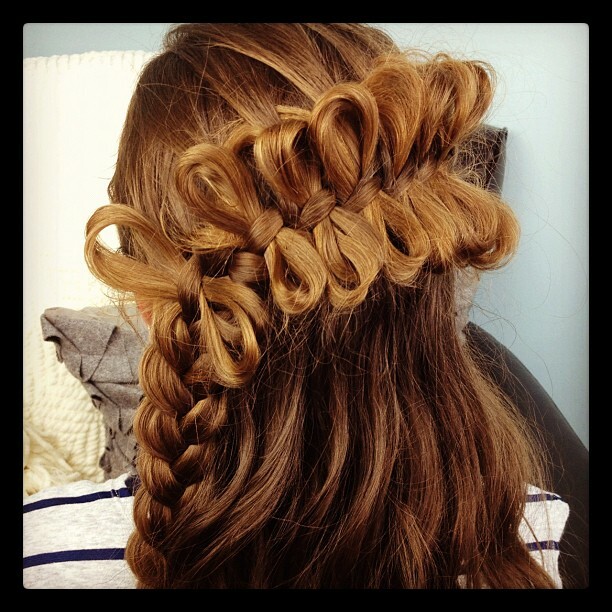 Take a small section of hair from the ½ inch parted section and create a loop with your fingers. Thread the loop of hair through the hairpin and grab loop of hair with left hand while gently tugging the hairpin back through your hair with your right hand. 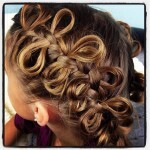 As you pull the hairpin out of the braid it will begin to form the other half of the bow. 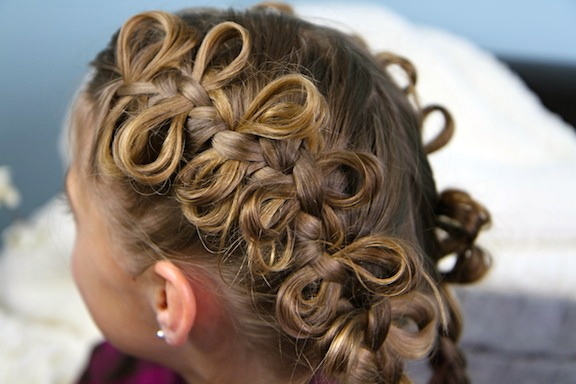 Gently tug the hairpin until you like the look of the second loop and then remove it from hair. 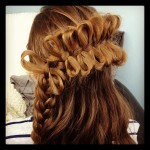 You should now have one competed bow that runs through the braid. 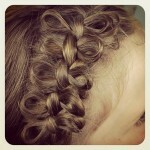 Repeat Steps 1-5 all the way down the braid until you run out of hair.